Fans of Princess Mononoke will love this cosplay-quality costume set from Miccostumes! 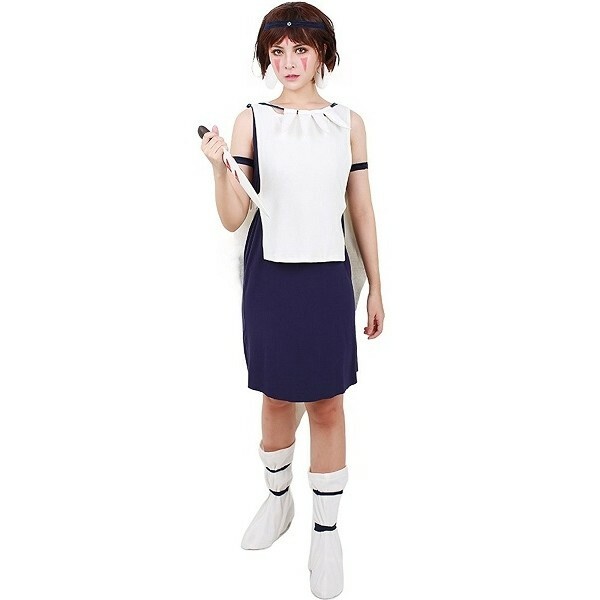 This set includes a dark blue dress, a white vest with a plush cape, a pair of shoe covers, a pu knife, a pair of earrings, a headband, and two armbands. For more products featuring characters from Studio Ghibli's girl-empowering films, visit our Studio Ghibli Collection.